It’s unclear when Motorola will unveil its foldable handset but a new leak suggests the phone will sport a number of interesting features. It’s important to note that similar to the Samsung Galaxy Fold, Motorola’s rumoured foldable phone will allegedly feature a somewhat large display when unfolded and a smaller cover display when folded. According to XDA Developers’ source, the Moto device will feature a secondary external display that the publication refers to as the “closed display,” which can also act as a trackpad when the phone is unfolded. The trackpad display will reportedly let users scroll through web pages in Google Chrome. Additionally, the closed display will feature six quick settings tiles. That said, it’s unclear what exact settings will be usable. Furthermore, users can decide whether or not they want to enable Google Assistant when the phone is closed. If they decide to disable the feature when Google Assistant is triggered, it will prompt the user to open up and unlock the device. Currently, Motorola is looking to have the Moto Display app show a clock, ‘pulsing notifications’ and the ability to control media playback with the closed display. The closed display may be able have its own wallpaper as well. 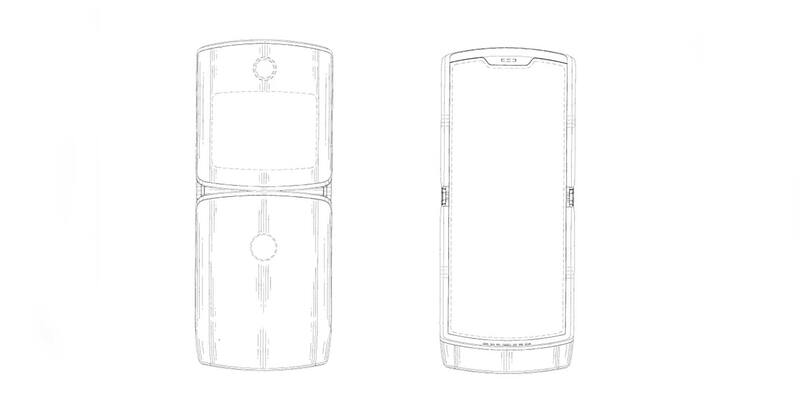 With a variety of smartphone manufacturers aiming to launch foldable handsets that turn into tablets in the near future, it’s nice to see that Motorola is looking to release a foldable clamshell phone that can easily fit in your pocket, both folded and unfolded. Hopefully, Motorola can keep this phone under $2,000 CAD, though that likely won’t be the case. Other rumours suggest that the device will use Motorola’s iconic RAZR branding, similar to the company’s popular phones of yesteryear.